CHICAGO, Jan. 4, 2017 /PRNewswire/ -- CNA today announced the appointment of Chris Heckman to Vice President, Hospitals and Captives in the company's Healthcare unit. In this newly created role, CNA Healthcare brings together its hospitals and captives strategies, and Heckman is responsible for the strategy and leadership of the department. He reports to Glen Curley, Senior Vice President, Healthcare, CNA Specialty. "Chris has been instrumental in shaping and executing CNA's short and long-term strategy for hospitals," Curley said. "He is recognized and respected both internally and externally as a deep technical expert in the Hospitals industry, allowing us to deliver solutions to the needs of our healthcare producers and CNA's customers." Heckman joined CNA in 2012 as an Underwriting Consulting Director. 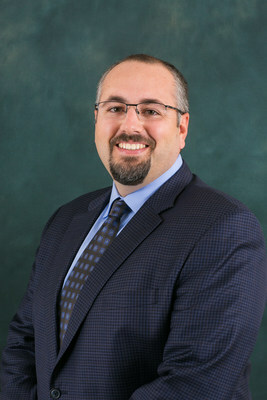 Most recently, he served as Assistant Vice President, Industry Leader for Hospitals. Heckman holds several industry accreditations including the Chartered Property Casualty Underwriter (CPCU), Associate in Claims (AIC), Associate in Risk Management (ARM), Associate in Reinsurance (ARe), Associate Surplus Lines Insurance (ASLI) and Associate in General Insurance (AINS). Heckman can be reached in at 214-220-1397 or Christopher.Heckman@cna.com.